It is most important to use OEM parts with today’s rotary screw compressors. These are not piston compressors. Although they have many benefits over piston compressors, simplicity of operation is not one of them. We highly recommend using our trained and experienced staff to do any major repairs to your rotary screw compressors. Maintenance, however, is easy to do. 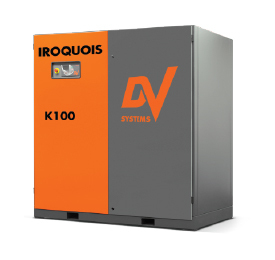 Oil & filter changes can be easily done by your own people, in fact, although we offer full preventative maintenance packages, when we sell rotary screw compressors during the installation we can easily show your staff how to do regular maintenance.